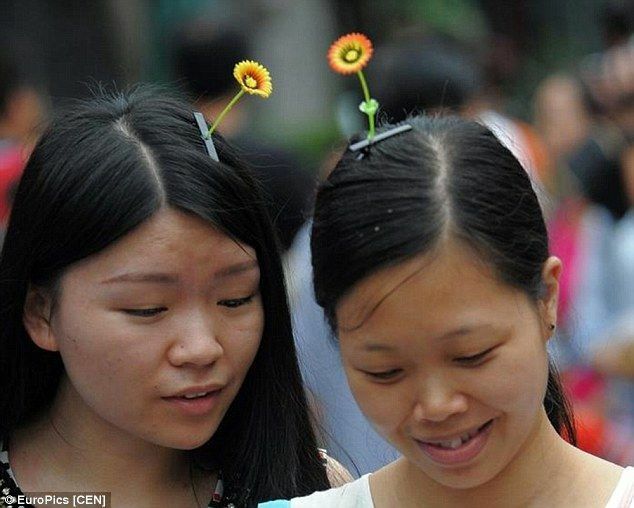 I was told by my friend that now China trend to wear bean sprout hair pin. I was disbelief! Then start googling and found that it is real info. 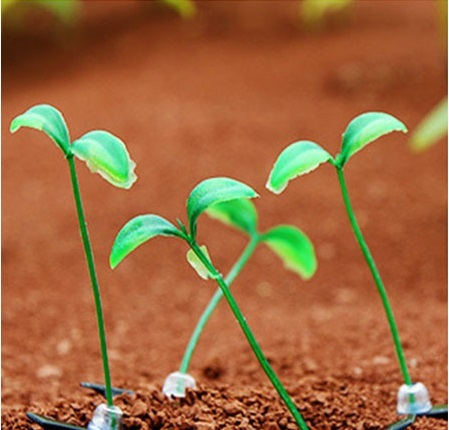 Its tiny clip in bean sprout which give illusion that a tiny plant is sprouting from the head wearer. Well its not just bean sprout. 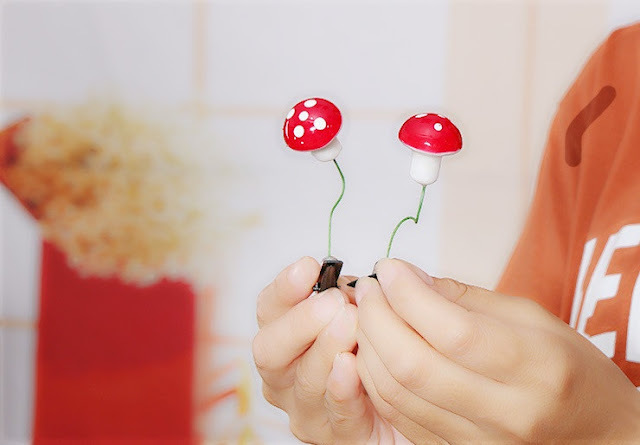 It can be mushroom, grass and flower. I called this flora and fauna trend then bean sprout. I know..this may be the latest crazy beauty trend and guess what????? 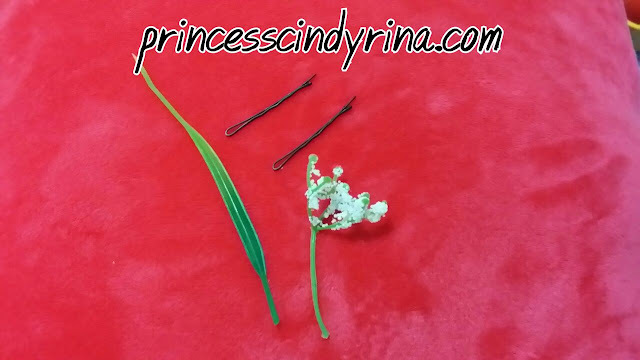 Even G Dragon from Big Bang has fallen victim to this antenna type flower hairpins. WTH!!!! 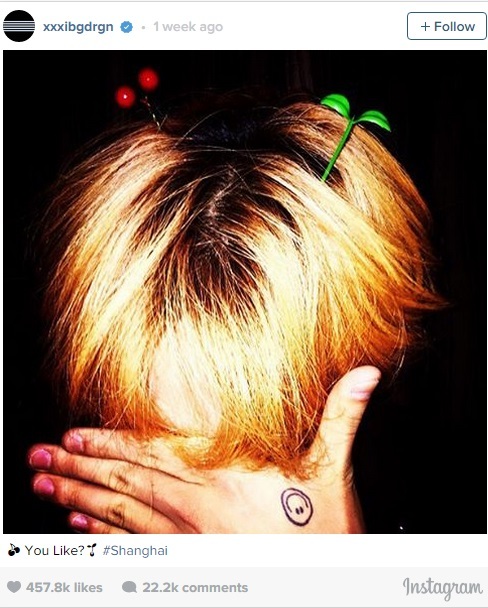 G Dragon updated his personal intagram on Aug 31st with Cherry and bean sprout hair accessory with caption saying, "You like? #Shanghai. " I am not sure too. I read it somewhere , some says it originally started in the tourist areas of Chengdu,China. Some claims this is inspire from Chinese cartoon called "Pleasant Goat and the Big Big Wolf". 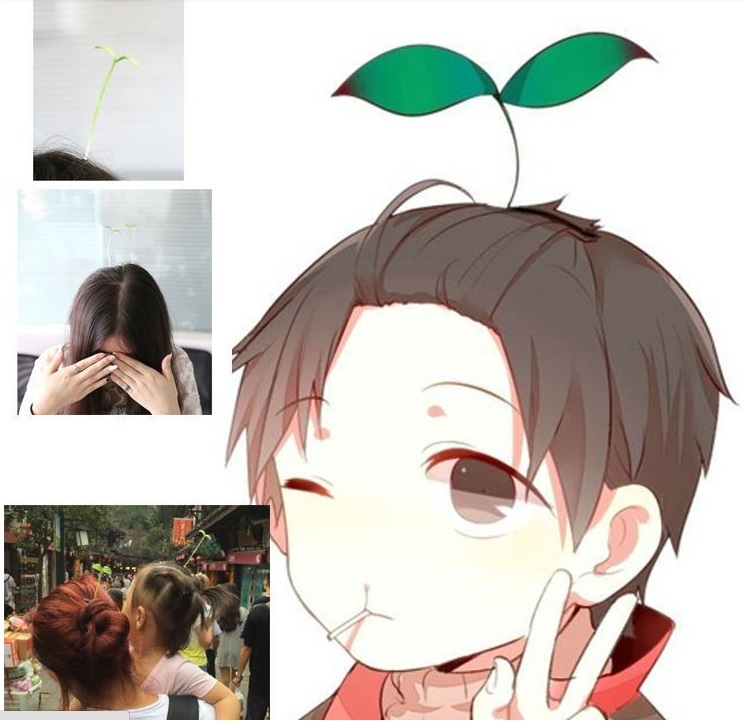 One of the cartoon character apparently have sprout on top of his head same like this crazy trend in China now. Do you think this is craze by only women and kids? Well...not true. 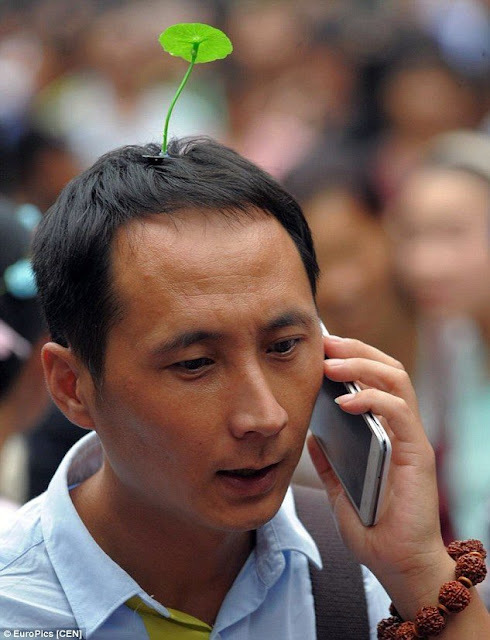 In China, you can spot man sprouting their head too. Totally fashion victim huh! What is you opinion to this latest trend? 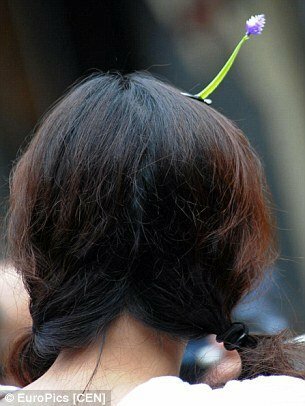 Instead of wearing one sprout on your hair, just bring this to another level and make it more sprouts. One can even add some mushroom , grass and flower. 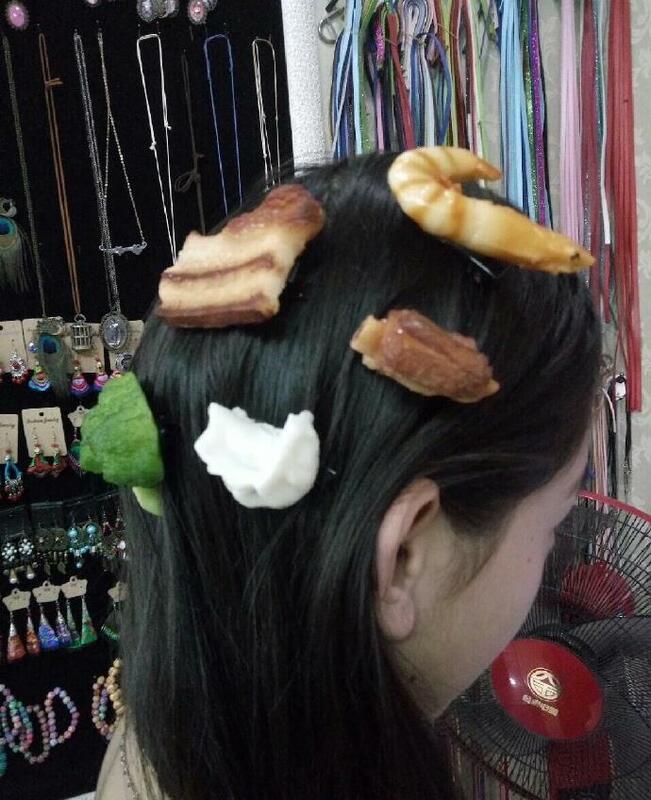 The result , you can have a mini garden on top of your head. WTH! Waterfall and fountain on top of your head? The mushroom look adorable too. For the sake of blogging and I was so bored to death last Sunday after being trapped in between of main door and grilled door with bags of rubbish....forgot my key ehhhh. I don't think I wanna spend a penny of my hard earned money to sprout my head. 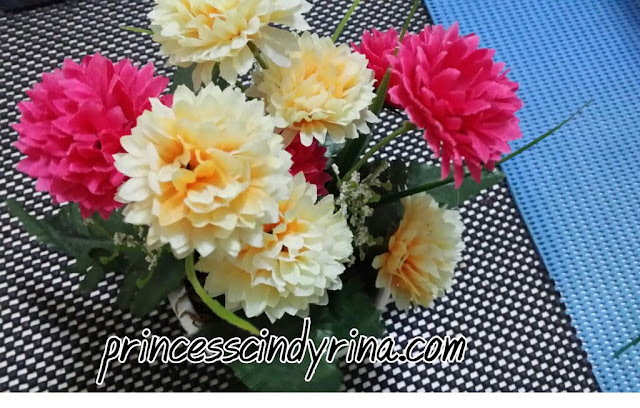 Poor table flower become my experiment victim. 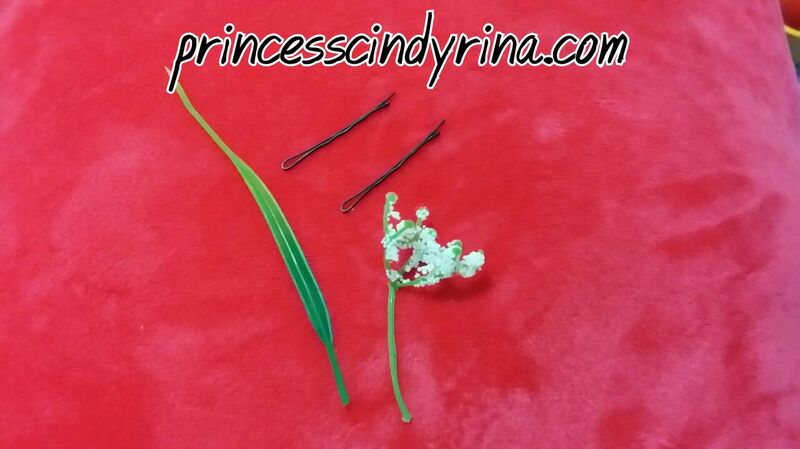 Cut off that grass and little white flower and 2 hair clips. WTH!!!! here we go....the sprout head. OMO!!!! imagine I browse this blog when I am 50 years old and sayssss......GOSH!!! I did this??? Speechless!!! When do you think our budding entrepreneur going to sell it here? Or is it now selling somewhere part of Malaysia and Singapore ? 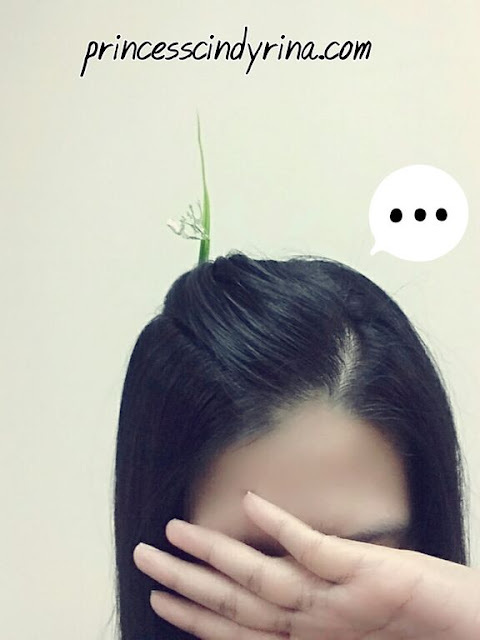 When do you think can spot bean sprout on top of Malaysian and Singaporean head? Is our fashionista here will be infected to this craze? Latest news!!! 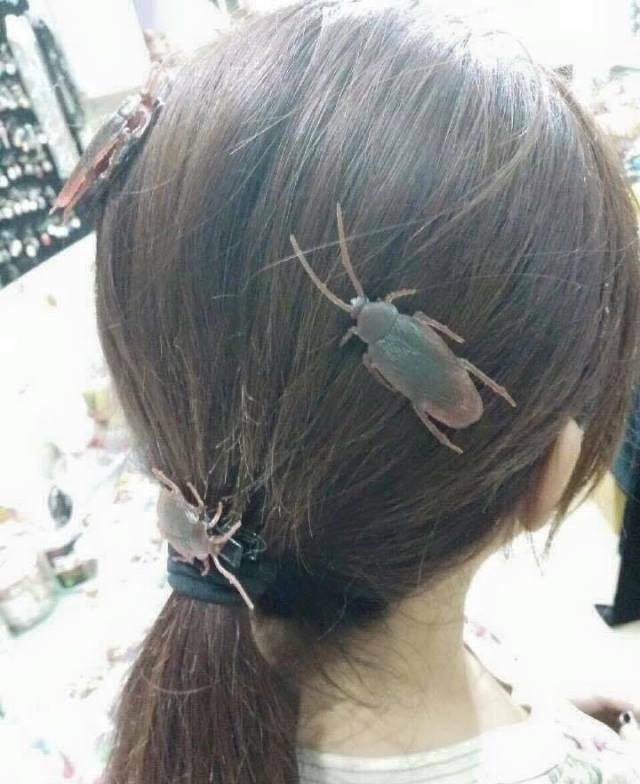 China new trend to wear hairpin of cockroach, shrimp , roasted chicken wings, even a fried egg and so on on top of their head. WTH! Seriously??? Seriously???? This is Madness!!!! is this fashion or simply out of ideas??? What's next? Poo series? Cow dung? Rocks and Stone series? Disclaimer : All photos credit to google search images except for 3 which are my own. Yes Ailyn! there are many more but this one of the craziest. this trend look so weird oh my god. 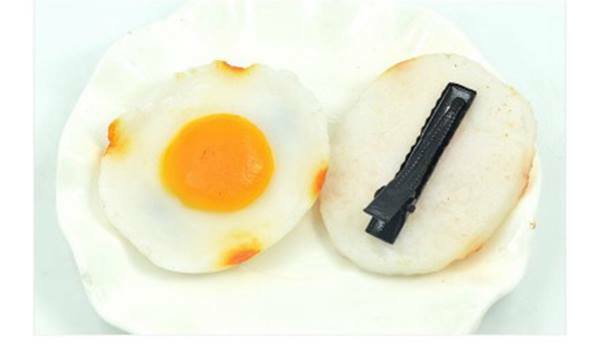 If have to choose one, maybe I will pick food decoration lol. Nowaday, people are so creative. But I found the cockroach is so awful. Hahaha what a trend but then again China doesn't surprise us anymore, huh? For the young is OK, but oldies can never get away with this cuteness. Oh my goshhh!!! Really madness! I thought it crazy for people to clip on plants on their head but insects and food are beyond crazy! This looks really crazy and will look funny walking like this on the streets. So interesting items. Can't imagine if I found it at Malaysia. Haha fashion at its best capacity. Well depending on the preferences, most people would see this as a trend but in the long run I doubt it would last too long on scene ;) Best to enjoy it while the hype is still there. It looks very funny! I wonder why it become a craze... I won't want it on my head..
What the heck is that new trend? Looks ridiculous! Hahaha no way I am partaking in that. hahaha the sprouts are pretty cute, but the food ones... not for me haha! haha i cannot stop laughing at this post. the crazy things people do to be trendy huh...let's hope this never hits Malaysia else I will just pengsan. Haha...so funny-looking. It actually looks kinda cute, but I don't think I'll be trying this out anytime soon. The cockroaches and food-stuff are a definite no-no. EeeEeEEeeeeee! !